Looking for luxury Gold Coast real estate? 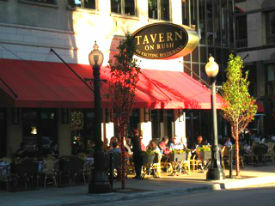 This historic lakeside Chicago community has everything you could hope for in a classy urban district. Gold Coast is one of the most highly sought-after areas in Chicago for its abundance of historic homes and variety of beautifully preserved architecture. If your vision of the perfect urban neighborhood is lined with thriving gardens, manicured sidewalks, and historic row homes and condos, then you won't want to miss these homes for sale. 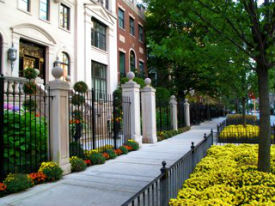 Gold Coast luxury homes and condos for sale are some of the most coveted real estate in Chicago. Many of the row homes in this community feature a rich and romantic brownstone facade that has been an integral part of this community's overall aesthetic for generations. Inside the homes you'll find nothing short of exceptional designer elements and finishes. Just as esteemed as the row homes in this community are the towering luxury condo buildings scattered throughout. From stunning waterfront suites with sprawling panoramas of the lake to more private and intimate, feature-filled buildings, live in the heart of the big city with a secluded sense of being away from it all in these Gold Coast homes. There is so much to adore about living in Gold Coast. Considered to be one of the hottest locales in the city for nightlife, shopping, and rich history, you can be almost guaranteed that there's always something going on. One of the most unique attributes of this popular community is its flourishing green landscaping that beautifully enhances the traditional urban landscape. Plus, its adjacency along the northern border to Lincoln Park makes for a terrific place to bike, run, read or relax. Andreas Holder is always ready to apply his knowledge and experience to your home search. Do you want to learn more about luxury Gold Coast homes for sale in Chicago? Send us a message online or call us at (312) 893 3560 to speak with us today. Do you want to save your searches for later? Register for an account to unlock advanced search tool and come back to your search at another time.